The report “North America: Agrochemicals: Market Intelligence (2016-2021)” provides market intelligence on the different market segments, based on type, active ingredient, formulation, crop, and pest. Market size and forecast (2016-2021) has been provided in terms of both, value (000 USD) and volume (000 KG) in the report. A detailed qualitative analysis of the factors responsible for driving and restraining the growth of the agrochemical and future market opportunities have also been discussed. - Mancozeb, Carbendazim, Difenoconazole, Thiophanate-m, and Chlorothalonil leading fungicide active ingredients in the North America Aagrochemicals market. - Glyphosate, Paraquat, Acetochlor, Butachlor, and Atrazine are leading herbicide active ingredients in the North America Aagrochemicals market. - Imidacloprid, Abamectin, Chlorpyrifos-e, Buprofezin, and Acephate are leading insecticide active ingredients in the North America Aagrochemicals market. - Emulsifiable Concentrate, Wettable Powder, Suspension Concentrate, Granules, and Water Dispersible Granules are leading formulation in the North America agrochemicals market. 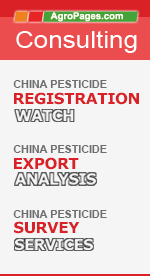 - Pyricularia, Plant hoppers, Aphis, Rhizoctonia, and Corticium leading pests for agrochemicals in North America. - Sprout Intelligence expert team estimated that the North America Aagrochemicals market in 2016 was worth more than 12 billion.